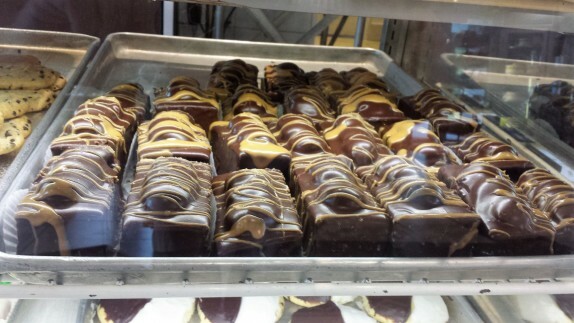 Everyone who talks about Bella Napoli talks about their Fudge Fancies. Or they talk about their cannoli. Or they talk about their doughnuts. All are very good, great even, but pale in comparison to the almighty Radio Bar. The Radio Bar is legendary enough that it even commands its own Facebook page. Although I am responsible for the profile picture (because I shared it on the page), I am not responsible for the page. In fact, allegedly, the page is run by someone completely unaffiliated with Bella Napoli. 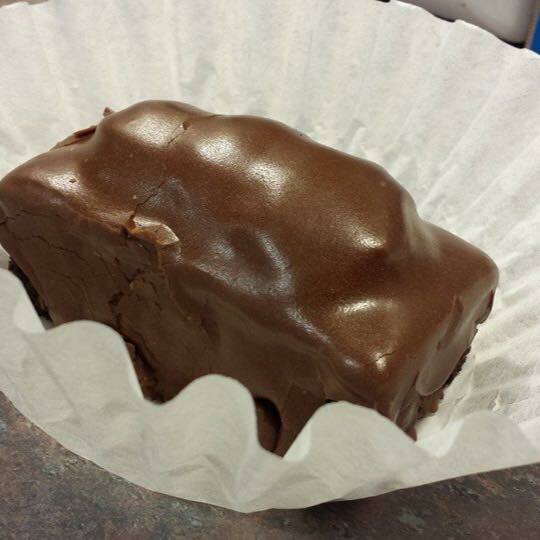 The Radio Bar is a piece of chocolate cake topped with a mound of buttercream and coated in fudge that’s not unlike their Fudge Fancy fudge. It is a beast that weighs in at approximately 6 ounces. But I’m not even talking about the Radio Bar today. I’m taking about the Peanut Butter Radio Bar, a relatively new cousin to the original. The peanut butter sequel includes buttercream heavily dosed with peanut butter and a peanut butter drizzle on top. It takes everything that was great about the original builds upon it. Peanut butter and chocolate go together like…well, peanut butter and chocolate. Seldom is a sequel better than the original (barring the obvious Godfather II and Evil Dead II examples), but in this case, I would argue that the peanut butter variety is far better, and it’s because of the lower level of sweetness and slight bit of texture in the buttercream. In order to achieve the same workable consistency, less sugar is added to the buttercream for the Peanut Butter Radio Bar. That coupled with the bit of salt from the peanuts and tiny bits of peanuts make this more interesting and, to me, enjoyable. 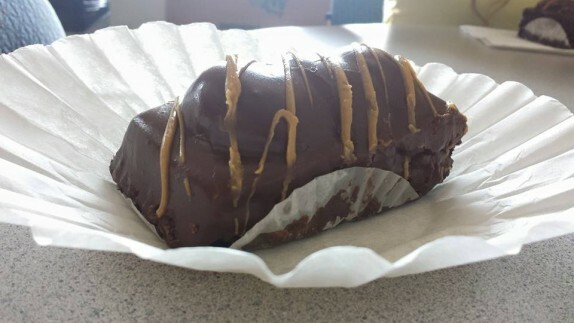 Sometimes, you get one that has a larger PB drizzle on top, and it’s just fantastic! When this variety originally rolled out, they seemed to be in low supply, but as I’ve found, they seem to be available much more often. I’d still call to check if they have them before you stop in. I mean, I’m sure they’ll have the original, and about 1000 other things you can eat, but you gotta try this. I just had one of these a few weeks ago, it was so good!